For over 37 years, the Tulsa Rib Company has been Orange County’s family owned neighborhood BBQ restaurant. 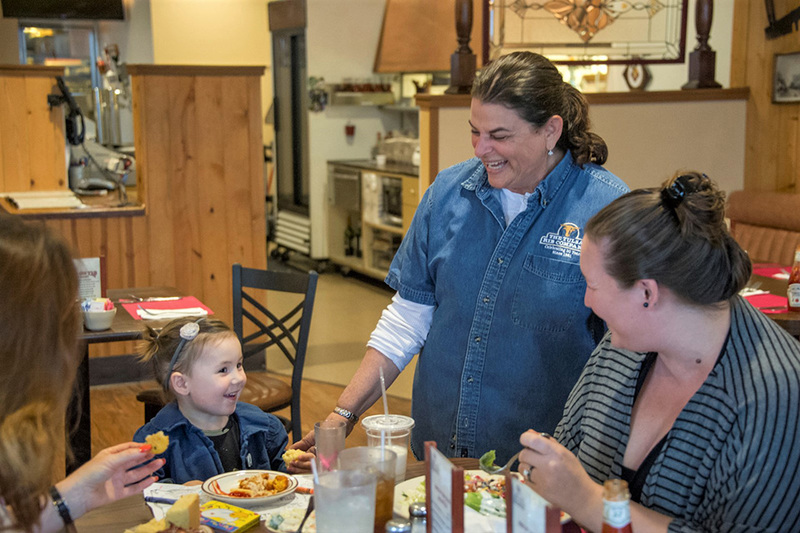 Serving up gourmet BBQ, zesty salads and delicious sides, we take pride in treating our customers to one-of-a-kind food with one-of-a-kind service. Steve and Liz Parker opened The Tulsa Rib Company in January, 1981, to bring down-home BBQ to Orange, CA. With fresh offerings like our famous tabooli and classic dishes like our fall-off-the-bone baby back ribs, Tulsa Rib has made a name for itself among Orange County natives and BBQ connoisseurs from around the country. Realizing there was a void in the restaurant scene for high quality barbecue, Steve and Liz Parker opened The Tulsa Rib Company in January, 1981. Within that first year, famous restaurant critics Elmer Dills, Herb Baus and Don Smith visited and discovered Tulsa Rib’s unique and delicious food. Once their reviews were published, the world now knew and came ‘a-callin’. 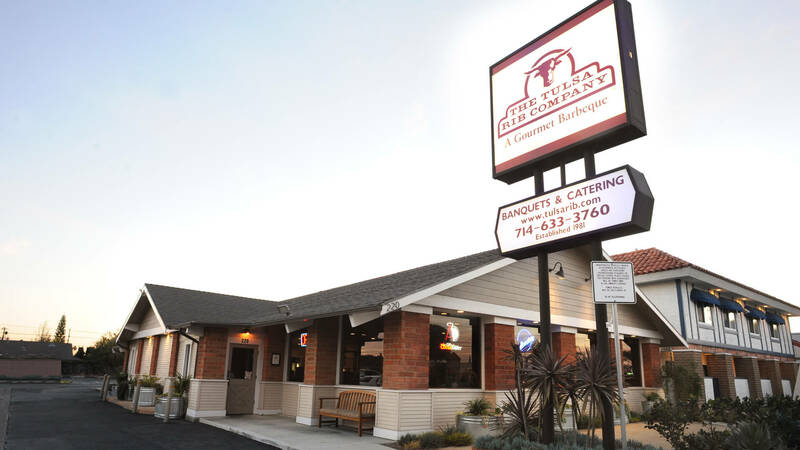 The restaurant instantly became an Orange County BBQ staple and now has served over 3,000,000 barbecue meals and counting. While we’re recognized by many for our unique dine-in menu, we’ve also been known to throw a heck of a hoedown with incredible catering. Tulsa Rib has brought authentic BBQ to family gatherings, business functions, large company picnics, and everything in between. We cater over 750 events annually for clients that include Disney, National Hot Rod Association, Valero, Ford Motor Credit, Freightliner and Nordstrom. We are so grateful for our loyal customers that have supported us for decades and we are returning that love by giving back to our amazing community. Every year Tulsa Rib works with over 100charities, foundations and schools such as: Mary’s Kitchen, Animal Assistance League of Orange County, Make-A-Wish, OCC Food Pantry, andvarious school educational foundations in Orange Unified and beyond. Whether you’re bringing the whole family for an unforgettable dine-in experience or ordering some hardy dishes to-go, we have something for every BBQ lover. So come on by and get a taste of Tulsa!